A crash knocked out power to thousands of homes and businesses in the Halifax area while thousands more across the province wait to be restored after high winds knocked out power overnight. At least 12,000 customers were without power across Nova Scotia on Friday morning. 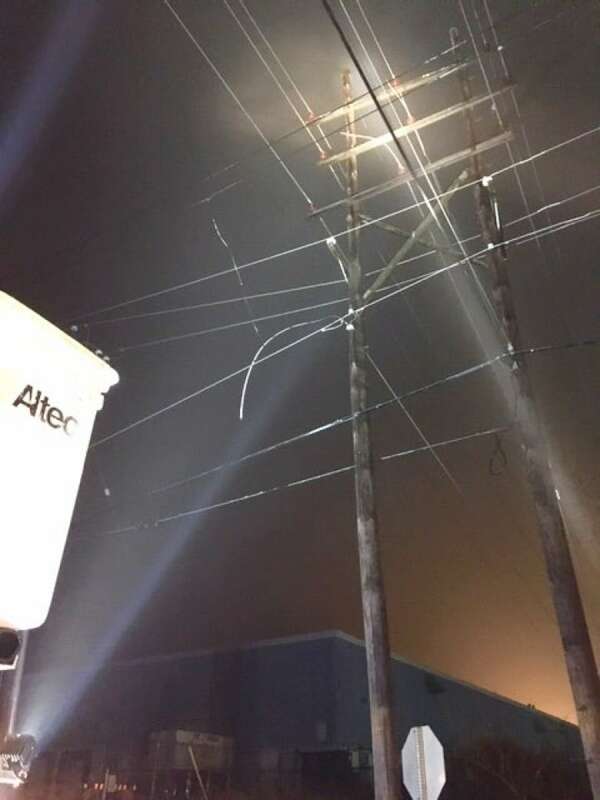 More than 7,500 of those outages were caused by a vehicle that snagged overhead power lines and pulled them off the poles in the Lakeside Industrial Park. Most of the biggest outages across the province were restored before 10 a.m. Affected communities included Clayton Park West, Bayers Lake, Beechville, Timberlea, Goodwood, Whites Lake, Prospect and all communities in between. 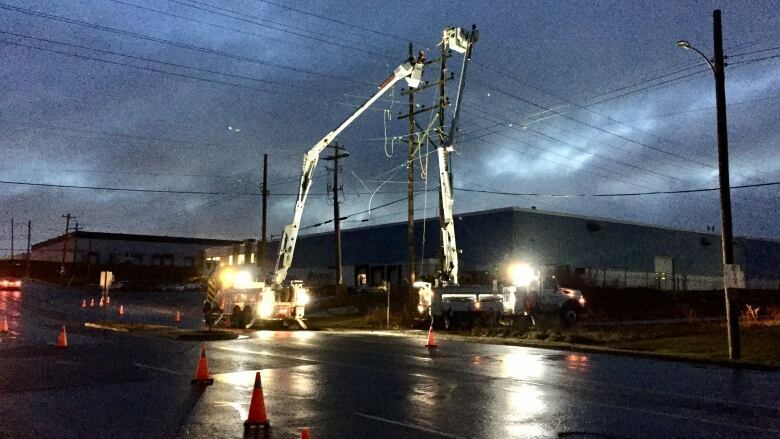 High winds overnight knocked out power to thousands more across the province. 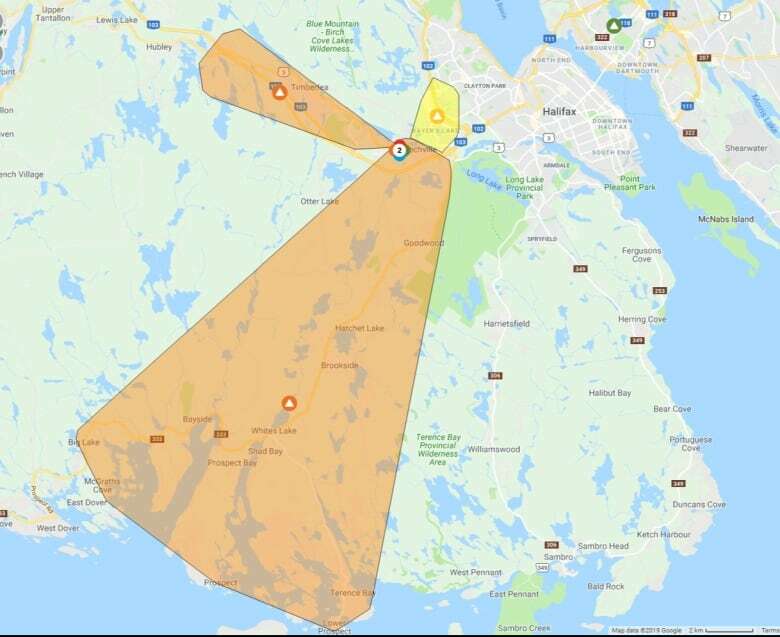 Estimated restoration times range from this morning to as late as 4 p.m., according to the utility's website, but 99 per cent of the outages had been corrected by 11 a.m.
Power crews restored power to 70 per cent of those affected by the high winds in the overnight hours thanks to 300 or so employees stationed across the province, the release stated. Winds exceeded 80 km/h and even reached as high as 108 km/h near Halifax Stanfield International Airport.